Four hundred years ago, sky watchers, including the famous astronomer Johannes Kepler, best known as the discoverer of the laws of planetary motion, were startled by the sudden appearance of a "new star" in the western sky, rivaling the brilliance of the nearby planets. Modern astronomers, using NASA's three orbiting Great Observatories, are unraveling the mysteries of the expanding remains of Kepler's supernova, the last such object seen to explode in our Milky Way galaxy. When a new star appeared Oct. 9, 1604, observers could use only their eyes to study it. The telescope would not be invented for another four years. 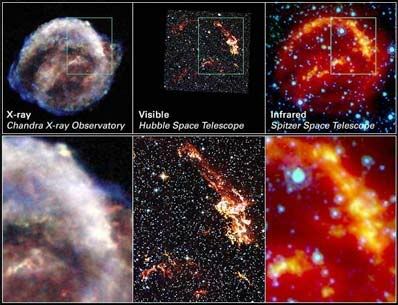 A team of modern astronomers has the combined abilities of NASA's Great Observatories, the Spitzer Space Telescope, Hubble Space Telescope and Chandra X-ray Observatory, to analyze the remains in infrared radiation, visible light, and X-rays. Ravi Sankrit and William Blair of the Johns Hopkins University in Baltimore lead the team. The combined image unveils a bubble-shaped shroud of gas and dust, 14 light-years wide and expanding at 6 million kilometers per hour (4 million mph). 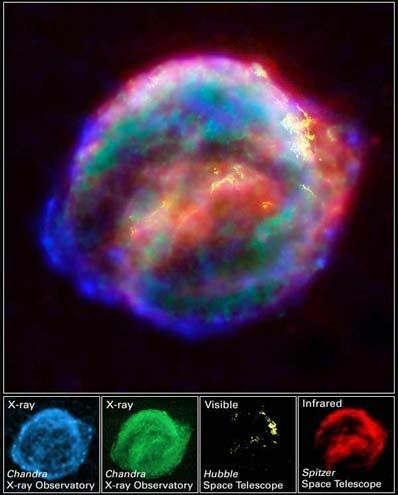 Observations from each telescope highlight distinct features of the supernova, a fast-moving shell of iron-rich material, surrounded by an expanding shock wave sweeping up interstellar gas and dust. The explosion of a star is a catastrophic event. The blast rips the star apart and unleashes a roughly spherical shock wave that expands outward at more than 35 million kilometers per hour (22 million mph) like an interstellar tsunami. The shock wave spreads out into surrounding space, sweeping up any tenuous interstellar gas and dust into an expanding shell. 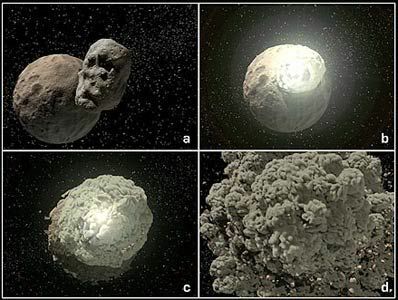 The stellar ejecta from the explosion initially trail behind the shock wave. 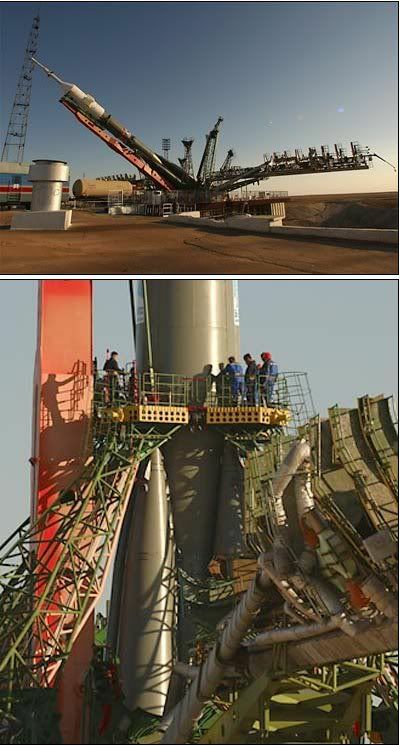 It eventually catches up with the inner edge of the shell and is heated to X-ray temperatures. Unable to sustain nuclear fusion at its core and doomed to orbit with its much more energetic white dwarf partner for millions of years, the dead star is essentially a new, indeterminate type of stellar object. A woman of the Argaric culture went into a difficult labour with a badly positioned foetus. The outcome was fatal: the woman and her child died. The remains of the grave were found at the "El cerro de las Viñas" site in 1996. 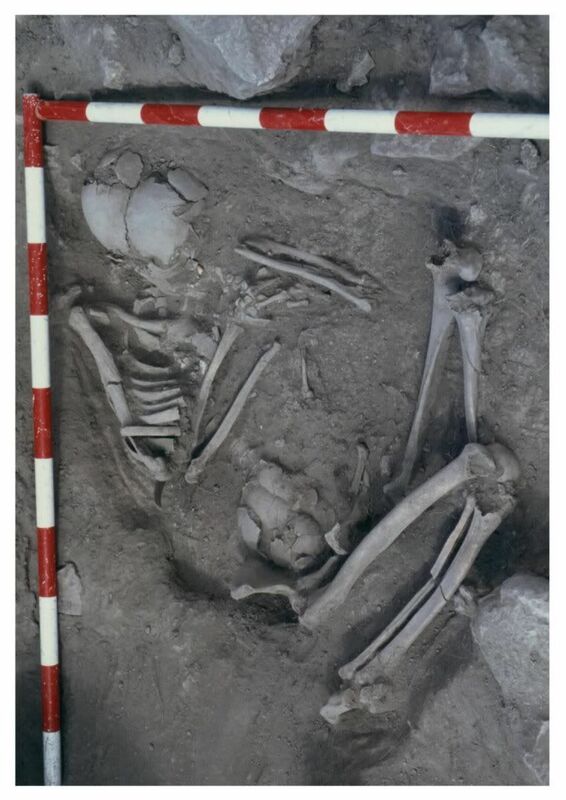 Now a team of anthropologists from the Universitat Autònoma de Barcelona have established that these are the oldest remains of this type to have been described by scientists. I thought this was called a "brown dwarf", and can be very numerous. Most are thought to form from nebulae that are simply not massive enough to produce a star. This method, loss through a Roche radius to a more massive partner, may be more common than we think. There could be another twist. If the star losses enough mass to its binary partner so that the white dwarf exceeds the Chandesakar limit, the white dwarf will supernova, and the blast could blow away enough of the less massive star to leave a brown dwarf behind. 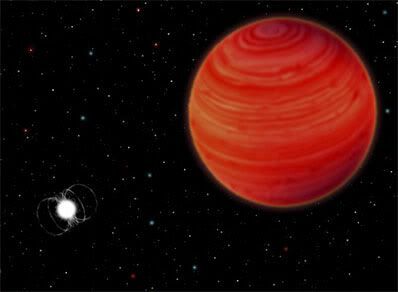 I think this is called a "brown dwarf" because it is a failed star that radiates gravitational binding energy in the infrared. Most are thought to form in nebula simply not massive enough to form a star. This could be a second way. I can think of a third. If the star losses enough mass through its Roche radius to the white dwarf companion, the white dwarf can exceed the Chandrasakar limit and supernova. The blast could blow away enough stellar mass to produce a brown dwarf, orbiting a neutron star. 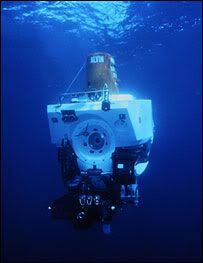 All great careers come to an end and the deep-sea manned submersible Alvin goes into retirement after 40 years of remarkable work in the world's oceans. The sub has taken 12,000 people on over 4,000 dives, to observe the lifeforms that must cope with super-pressures and move about in total darkness. It is said Alvin research has featured in nearly 2,000 scientific papers. It helped confirm the theory of plate tectonics and continental drift, and discovered hydrothermal vents. Anyone who has written with a pencil may have unwittingly made a few traces of a promising new nanomaterial. Among the thick smears of graphite deposited when a pencil rubs along paper are probably some carbon films only a few atoms thick, says physicist Andre K. Geim of the University of Manchester in England. In laboratory experiments, he and his colleagues at Manchester and in Russia have now created freestanding carbon films as thin as one atom. The researchers call the surprising material "few-layer graphene." 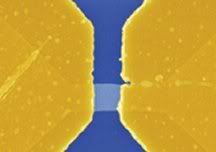 In the Oct. 22 Science, the team also reports that it formed the material into a novel prototype transistor that's expected to produce less heat than a conventional transistor does. "I find this one of the most interesting discoveries that has emerged in condensed-matter physics in the last decade," comments Laurence Eaves of the University of Nottingham in England. WHAT FLAKES. A 1-atom-thick flake of graphene has settled onto a silicon dioxide surface (burnt-orange background in above image). In some regions, it folds back on itself like fabric (lightest orange). 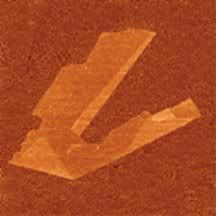 Atomic-force-microscope image represents a field 10 micrometers wide. 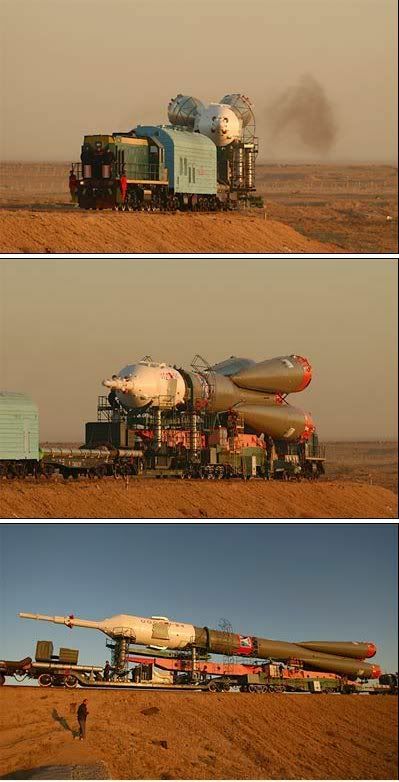 The image shows details about 10 times smaller than those seen from Earth. Surface materials with different brightness properties (or albedos) rather than topographic shading are highlighted. The image has been calibrated and slightly enhanced for contrast. 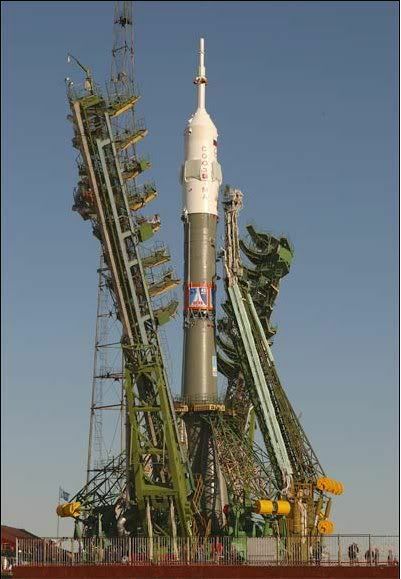 It will be further processed to reduce atmospheric blurring and to optimize mapping of surface features. The origin and geography of Xanadu remain mysteries at this range. Bright features near the south pole (bottom) are clouds. On Oct. 26, Cassini will acquire images of features in the central-left portion of this image from a position about 100 times closer. This radar image of the surface of Saturn's moon Titan was acquired on October 26, 2004, when the Cassini spacecraft flew approximately 1,200 kilometers (745 miles) above the surface and acquired radar data for the first time. It reveals a complex geologic surface thought to be composed of icy materials and hydrocarbons. A wide variety of geologic terrain types can be seen on the image; brighter areas may correspond to rougher terrains and darker areas are thought to be smoother. A large dark circular feature is seen at the western (left) end of the image, but very few features resembling fresh impact craters are seen. This suggests that the surface is relatively young. Enigmatic sinuous bright linear features are visible, mainly cutting across dark areas. The image is about 150 kilometers (93 miles) wide and 250 kilometers (155 miles) long, and is centered at 50 N, 82 W in the northern hemisphere of Titan, over a region that has not yet been imaged optically. The smallest details seen on the image are about 300 meters (186 miles) across. Big evolutionary insights sometimes come in little packages. Witness the startling discovery, in a cave on the eastern Indonesian island of Flores, of the partial skeleton of a half-size Homo species that lived there at the same time that ancient Homo sapiens inhabited nearby regions. LITTLE BIG FIND. 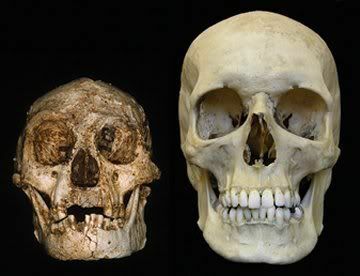 The newly discovered Homo floresiensis skull (left) comes up short next to a Homo sapiens skull (right). The new species, dubbed Homo floresiensis, reached the island at least 38,000 years ago and lived there until it died out near the end of the Stone Age, roughly 20,000 years later, conclude the authors of two papers in the Oct. 28 Nature. The researchers say that the Flores find represents an adult, probably a female, who stood about 3 feet, 3 inches tall (1 meter) and weighed approximately 35 pounds (16 kilograms). This individual's brain was only about as large as those of australopithecines, which were apelike members of the human evolutionary family that preceded Homo. Strings of depressions dotting the Martian landscape indicate that seismic activity - marsquakes - may still be reshaping the surface of the planet, according to Dr. David Ferrill of Southwest Research Institute in a paper published in GSA Today. These pit chains occur along dilational faults, partially filled or open cavities that served as conduits for past groundwater flow. "These faults could now serve as reservoirs for water or ice, making these locations of potentially great interest to the scientific community searching for signs of life on Mars," said Ferrill, a senior program manager at SwRI. Who laid the first egg? 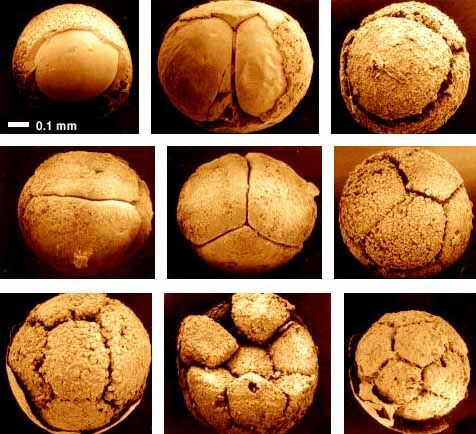 Blacksburg, Va. – In 1998, Shuhai Xiao and colleagues reported finding thousands of 600 million year old embryo microfossils in the Neoproterozoic Doushantuo Formation, a fossil site near Weng'an, South China, (Xiao, S., Zhang, Y., and Knoll, A.H., 1998, "Three-dimensional preservation of algae and animal embryos in a Neoproterozoic phosphorite," Nature, v. 391). Within the egg cases they examined at that time, they discovered animals in the first stages of development – from a single cell to only a few dozen cells. "The cellular preservation is amazing," says Xiao, assistant professor of geosciences at Virginia Tech. But what kind of adult would these ancient embryos have hatched into? In 2000, Xiao's team reported the discovery of a coral-like animal that might be a candidate for parenthood (Xiao, S., Yuan, X., and Knoll, A.H., 2000, "Eumetazoan fossils in terminal Proterozoic phosphorites?" Proceedings of the National Academy of Sciences, USA, v. 97). "It was tubular, not spherical. But in some of the best specimens, we could see that the tube branches and has cross-walls," Xiao said. "But can it be linked to the embryos?" Upon examination of more embryos collected from the original site, Xiao's research team has discovered some embryos that may be at the hatching stage. He will report on this latest finding at the Geological Society of America meeting in Denver Nov. 7-10. "Looking now at these egg cases, we can see clockwise spiral grooves, as if a knife sliced the egg open," Xiao said. "The embryo was beginning to hatch. When we removed the egg case, we found that the post blastula but pre-hatching embryo at this stage is beginning to transform into a spiral animal. Each such animal had three clockwise spires. After hatching, the spiral organism began to uncoil slightly," Xiao said. "They look as if they can unwind to a tube structure. We are looking for more evidence, but if that is true, it might link the embryo fossils to the tubular coral-like animal." The researchers will slice open a hatched embryo specimen that appears to be unwinding to see if it has cross-walls. 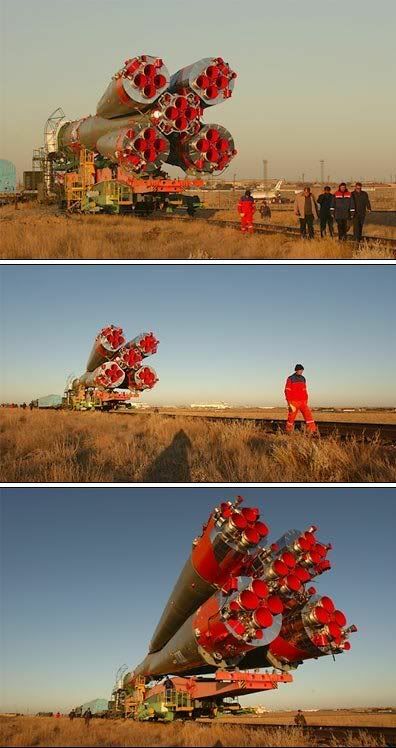 "That would indicate it is related to the tubes," Xiao said. "These organisms lived 600 million years ago – before big animals. This the very first moment of animal evolution preserved in the fossil record." U.S. Geological Survey (USGS) and NASA scientists studying Mount St. Helens are using high-tech Light Detection and Ranging (LIDAR) technology to analyze changes in the surface elevation of the crater, which began deforming in late September 2004. With data derived from airborne LIDAR, scientists can accurately map, often in exquisite detail, the dimensions of the uplift and create better models to forecast volcanic hazards. LIDAR shows, in the two weeks before Oct. 4, the new uplift grew to the height of a 35-story building (110 meters or 360 feet) and the area of 29 football fields (130,000 square meters). Saturn's moon Titan shows a sharp contrast between its smooth and rough edges in a new false-color radar image. 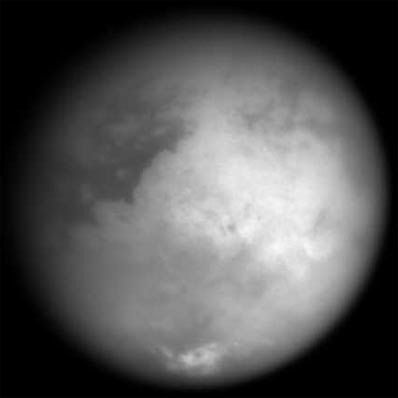 Titan's surface lies beneath a thick coat of hazy clouds, but Cassini's radar instrument can peer through to show finer surface features. Scientists have added color to emphasize finer details on Titan, as shown in the image. 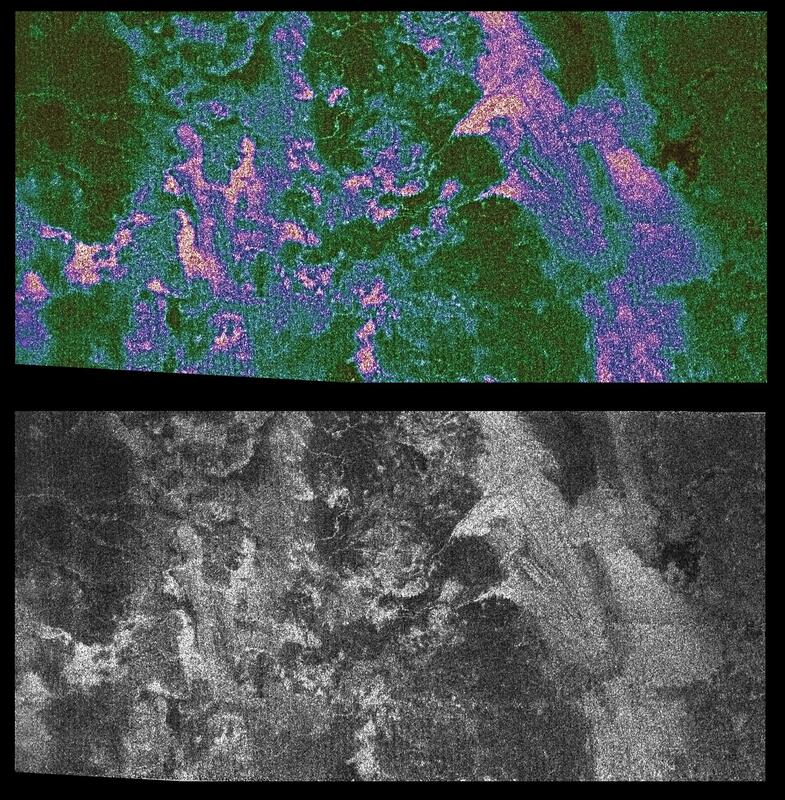 To provide a better perspective of the surface features, the color image is shown next to a black-and-white image that was previously released. The area shown is in the northern hemisphere of Titan and is about 150 kilometers (93 miles) wide by 300 kilometers (186 miles) long. The image is a part of a larger strip created from data taken on Oct. 26, 2004, when the Cassini spacecraft flew approximately 1,200 kilometers (745 miles) above Titan's surface. What's YOUR favourite source ?...I love Toffee and maple Syrup and praline.....*sigh*....I'm sooooooooooo alone on this thread aren't I ? This is one of my favourite threads, Neil. Look at how many views there's been. Keep up the good work. A University of Colorado at Boulder-built instrument riding on the Cassini-Huygens spacecraft is being used to resolve objects in Saturn's rings smaller than a football field, making them twice as sharp as any previous ring observations. observed by Cassini's ultraviolet imaging spectrograph. 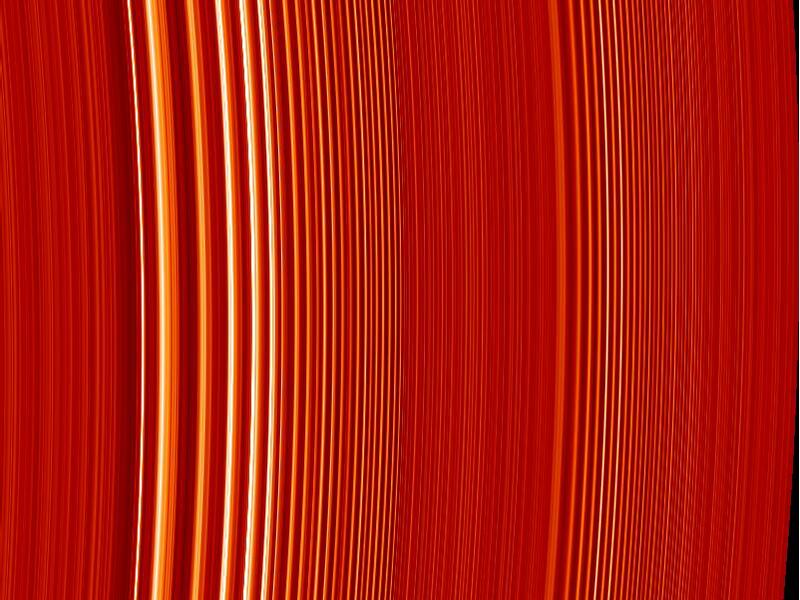 Bright areas indicate the denser regions of the rings. the rings by Saturn's moon, Janus. A smaller density wave in the right half of the image is produced by the moon Pandora. Joshua Colwell of CU-Boulder's Laboratory for Atmospheric and Space Physics said the observations were made with Ultraviolet Imaging Spectrograph, or UVIS, when Cassini was about 4.2 million miles, or 6.75 million kilometers, from Saturn in July. Saturn orbits the Sun roughly 1 billion miles distant from Earth. Colwell and his colleagues used a technique known as stellar occultation to image the ring particles, pointing the instrument through the rings towards the star, Xi Ceti. 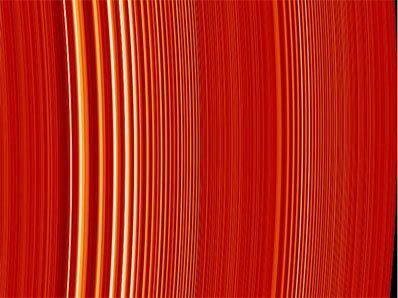 The fluctuations of starlight passing through the rings provide information on the structure and dynamics of the particles within them, said Colwell, a UVIS science team member. He likened the Saturn system to a mammoth phonograph record, with the planet in the middle and the rings stretching outward more than 40,000 miles, or 64,000 kilometers. The size of the ring particles varies from dust specks to mountains, with most ranging between the size of marbles and boulders, he said. "It is high time we did field studies to assess the situation or else a big natural catastrophe could hit us anytime," said Arun Bhakta Shrestha from Nepal's Department of Hydrology and Meteorology. Don't you love these blokes. Why isn't he doing the study instead of talking about it? Typical bloody public servant, it sounds like it is his department's responsibility. C'mon Mr Shrestha, do the bloody study.